In December 2008, the NFCA team was thrilled to learn that the abstract we presented for inclusion at the 13th Annual International Coeliac Disease Symposium had been accepted. On April 6th in Amsterdam, we will present innovative ways to educate members of the healthcare and hospitality industries on celiac disease and the gluten-free lifestyle. This Symposium is the foremost conference for the review and discussion of contemporary issues and scientific developments in the field of celiac disease. As I prepare to represent NFCA at this prestigious international conference, I am filled with pride. At the symposium, NFCA will show the international celiac community that our signature events, Appetite for Awareness and the Gluten-Free Cooking Spree, represent an innovative approach to education and public health that CAN increase awareness, drive diagnosis, engage restaurants, and change medical practices! Our Symposium acceptance is proof that our work here at NFCA is restoring health and reclaiming lives. With that being said, I am thrilled to announce that NFCA has selected three locations for our 2009 Appetite for Awareness and Gluten-Free Cooking Spree events: Philadelphia, San Francisco, and Washington, D.C. Please visit our website, www.beyondceliac.org for updated information on all NFCA events. We hope you will join us! Like everyone, we too have felt the effects of our nation's economy; but we remain hopeful and determined to exceed our previous successes. Through our 2009 events, NFCA intends to raise general awareness of celiac and have a greater impact on the practices and education of the medical and culinary industries than ever before! All of us at NFCA remain grateful and reliant on your continued support to achieve this goal. Your participation in NFCA's National Celiac Awareness Campaign in all of its forms has brought us closer to meeting our mission every day. Thank you!! St. Patrick's day is here! It's that time of year to celebrate with Irish food, songs, games, parades, and wearing green, of course! However, I think one of the best parts of celebrating St. Patty's Day is being together with family and friends, and being able to enjoy traditional Irish meals. When I think of St. Patty's Day, I think of the food that I always saw at bakeries or that my friends had at their houses when we were growing-up. Irish soda bread was always something I looked forward to (and still do!) especially when served with jam or preserves. Converting this traditional recipe to a gluten-free recipe may seem challenging at first because gluten-free dough may be difficult to work with; however, if you follow the steps carefully, use fresh ingredients, and are accurate in measurement, you should be eating gluten-free soda bread in no time! For this recipe, I like to use a combination of all-purpose flour, such as Bob's Red Mill, sweet rice flour, and tapioca flour. Preheat oven to 350 degrees F. Butter and flour with GF corn starch a 9" round cake pan. Combine the all purpose flour, sweet rice flour, tapioca flour, sugar, baking soda, baking powder, and salt in a large bowl. In a separate bowl, whisk together egg and buttermilk. Pour the wet ingredients into the bowl of dry ingredients. Stir just until the ingredients are moistened. Pour into the cake pan. Bake for about 50 minutes, or until a toothpick inserted the center comes out clean. Cool in pan on a wire rack for 10 minutes. Remove from pan. Once completely cooled, wrap bread in plastic wrap and let stand overnight to bring out flavor. Serve with jam, preserves, or butter. A traditional Irish meal that always comes to mind when I think of St. Patty's day is corned beef and cabbage. 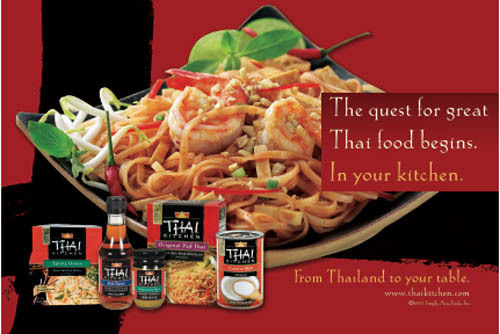 The aroma of the ingredients and meal cooking fills the house, and once it is completely cooked, the taste is delicious! The recipe I have is easy to make gluten-free. Make sure all ingredients are gluten-free and avoid cross contamination during prep-work and cooking. The meal yields about 5 servings. A great side dish with this meal is Irish-style baked parsnips. Enjoy! Place corned beef in a large pot (or Dutch oven) and cover with water. Add the spice packet (make sure it's gluten-free). Place cover on, and bring to a boil. Once boiled, reduce to a simmer. Simmer for about 50 minutes per pound or until tender (150 minutes per 3lb). Add small red potatoes, carrots, onion, garlic, and dill; cook until tender. Add cabbage and cook for 15 more minutes. Remove meat and let rest 15 minutes. Place vegetables in a bowl and cover. Add broth (cooking liquid from pot) to the dish. Slice meat across the grain. Preheat oven to 350 F. Peel parsnips, quarter, and remove core. Parboil for 15 minutes. Place in an ovenproof dish. Add stock and sprinkle with salt, pepper, and nutmeg. Dot with butter and bake for 30 minutes at 350 degrees. The next two recipes are not necessarily "traditional" Irish recipes, but in my opinion they are fun to make and delicious to eat! Gluten-free frosted shamrock cookies help set the spirit for St. Patty's day and are a great treat to have this time of year. Another great dessert is "Irish Bananas," which are bananas cooked in brown sugar and Irish whiskey that tastes great with vanilla bean ice cream. Preheat oven to 375 degrees F. Cream the butter and sugar. Add the egg and vanilla and mix well. Whisk together all the dry ingredients. Add to the butter mixture and mix well. Gather the dough into a ball and refrigerate covered for 2 hours. When you are ready to roll out the dough, sprinkle cornstarch on work surface and rolling pin.Take small portions of the dough out of the container and roll it out to about ¼ inch thick. Cut with shamrock cookie cutters. Bake at 375 degrees for 8 minutes on a greased cookie sheet. The cookies are done when they just start browning at the edges. Let cool completely before frosting. Beat until consistency is smooth and creamy. Spread on cookies. Top with green sprinkles. Melt the butter in a skillet over medium heat. Stir in the brown sugar and whiskey. Bring to a boil and cook until sugar has dissolved. Add bananas to the skillet and simmer gently until bananas are tender and glazed with the syrup. Serve immediately with ice cream. When your child has celiac, travel requires more planning. When your destination is Walt Disney World, a little advance legwork will result in a vacation that exceeds your highest hopes. My daughter was turning 11 last year and I realized that if my husband (a confirmed Disney-phobe) and I did not take her, she could grow up without ever setting foot in the Magic Kingdom. It was time. As with any planning nowadays, I started with an online search on dining gluten-free at Disney. Dozens of pages turned up, filled with testimonials of families who enjoyed service that ranged from mediocre to outstanding. I focused my research on the official Disney vacation planning website and learned that every restaurant within the Disney World resort - this includes the Magic Kingdom, EPCOT, Disney-MGM Studios, Disney's Animal Kingdom and all of the hotels within the official Disney resort - was equipped and trained to accommodate a variety of dietary restrictions, including a gluten-free diet. There are literally hundreds of dining options at Disney, ranging from full-service restaurants to quick-service cafeterias to food stands and snack carts. This was looking promising. No matter what time of year you plan to visit Disney World, there will be crowds. It is highly recommend that you make advance reservations at the full service restaurants where you would like to dine. To simplify the process, the resort has a single dining reservation number that you may call for all of your dining needs. Call (407) WDW-DINE or (407) 939-3463 up to 90 days before your trip to reserve your table. When you make your reservation, tell the staff member that you have a child in your family who has celiac and must eat gluten-free. This is where the Disney magic kicks in. The Food and Beverage staff at Disney World are highly trained at handling food allergies and intolerances. When your reservation is made and it is noted that there is a person with celiac in your group, the chef at each restaurant is notified in anticipation of your arrival. I spoke with several chefs at the resort and learned that most chefs regularly stock gluten-free foods to keep on-hand for guests. On any given day, you can go to a restaurant and have hot gluten-free dinner rolls, pasta, pancakes, pizza, macaroni and cheese and more. Equally impressive is the customer service at each restaurant. At every full-service restaurant we dined at, we were personally greeted by the chef who came to our table, reviewed the menu with our daughter, and discussed what she felt like eating. He then personally took her order and stopped back during the meal to make sure she enjoyed her selection. This was a far cry from dining out at home. I never realized until this trip how often at restaurants I held my breath until her meal arrived at the table and was confirmed to be gluten-free. This Disney experience could spoil a person. It felt like, well - like normal eating. Blessedly, mind-blowingly normal. -Call the central reservation number as far in advance as possible and book your restaurants. Make sure you tell them you have a child with celiac, who cannot eat gluten. -Before your trip, contact the Food and Beverage department at Disney. There is a central phone number for all of the parks within the resort: (407) 560-6550. Ask them to mail, fax or e-mail you their written guides to dining at the parks, gluten-free. We received emails from the Food and Beverage Directors at Magic Kingdom, EPCOT, Disney-MGM Studios and Disney's Animal Kingdom that listed virtually every safe food option, from the freshly popped popcorn carts (Orville Reddenbacher) to the frozen Mickey Mouse ice cream bars (like a Dove bar with ears) to fast food stands and more. -When you arrive at your restaurants, remind the host that you have someone in your party who needs to eat gluten-free. Typically the chef will come to your table, but it never hurts to ask. Often the wait staff is highly knowledgeable as well. -For families with food allergies, Disney will waive their ban on coolers in the park. If you need to bring a snack that does not require cooking or reheating, they will let you in with a small cooler. Personally, I found the choices at the parks to be so plentiful, we were truly able to travel without our usual safety net. It was refreshingly liberating. 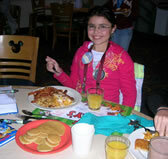 One of the many popular character breakfasts available at Disney, Chef Mickey's offers an enormous breakfast buffet. Disney characters like Mickey and Minnie Mouse, Goofy and Donald Duck walk around, visit with families and pose for photos throughout the meal. Chef Robert, the sous-chef at the restaurant, came to our table (there were 11 of us in our group) and personally walked the buffet line with my daughter and me, pointing out all of the gluten-free selections. This included two types of eggs, two potato dishes, bacon, sausage and fruit. In addition, he offered to cook her gluten-free waffles or pancakes. She said yes to the pancakes and received Mickey-shaped pancakes that were bigger than her head. She also piled a plate with food from the buffet. Delicious and plentiful; my kid was happy. Before we left, Chef Robert stopped back to hand me two big, individually wrapped fudge brownies. They were his gift to us, in case we needed a snack in the parks. This fine dining restaurant features an enormous, wall-sized aquarium facing the tables. This was to be my daughter's birthday dinner. When making my reservation, I asked about getting a gluten-free cake. I was able to call in an order, two weeks in advance, for a delicious chocolate gluten-free birthday cake. We did not speak with a chef at this restaurant, but our waitress, Blanca, was so knowledgeable about the gluten-free diet, she was able to guide us in ordering right from the regular menu. My daughter ordered a Caesar salad to start (no croutons), pork chops with wild mushroom gravy for her entrée, with a side of French fries instead of the usual mashed potatoes (which were not GF). The fries were cooked in a dedicated fryer. The food was wonderful and the service was even better. This quick-service restaurant was a spontaneous lunch stop for our hungry crowd. It was a busy, crowded place and I was concerned that I would not be able to ask questions about the menu (this one was not listed on our emailed park guide) since it was like an assembly-line production of hamburgers, fries and other fast food. To my surprise and delight, when I flagged down a staff member and asked to speak to a manager about a dietary need, I was assured that they were all familiar with gluten-free dining. My daughter ate a cheeseburger on a gluten-free bun (okay, the bun was lousy, but being able to order it was really cool), and fries. Another reminder that this was no ordinary vacation spot. On our last morning, we ate at our hotel (a hotel we highly recommend). Our breakfast was equal parts delicious food and great entertainment, as the western-themed wait staff broke into funny banter, songs and other playful behavior throughout the meal. My daughter feasted on freshly cooked waffles, homefries and bacon that was outstanding. Again, the service was as impressive as the food. I leave you with a picture worth 1,000 words: my daughter, moments before gleefully diving into her breakfast at Chef Mickey's. This is one trip we will definitely be repeating. Honor the Irish, Eat a Potato. Potatoes make a nutritious, convenient and inexpensive side dish. Potatoes have more potassium than a banana and nearly half of your daily requirement of vitamin C. They are also a good source of vitamin B6 and fiber. Enjoy the skins for the maximum fiber. Potatoes are naturally fat and cholesterol free. Research shows they are loaded with antioxidants. Say "comfort food" and many folks say "potato!" Potatoes originated in South America and are a staple there. Potatoes are important in many cuisines. They come in a rainbow of colors; red, yellow, blue, pink, white, and a variety of textures from mealy and starchy to waxy. Also, they come in many sizes and shapes. But, since St. Patty's Day is in March, we will go with the Irish theme this month. What I think of as Irish type potatoes have white flesh and may have brown or red skins. Brown skinned, starchy potatoes are perfect for baked or mashed potatoes and we will focus on these now. Red skinned, waxy potatoes are great for potato salad since they hold their shape better when cooked. We will look at red potatoes in a future column. White potatoes are simple and quick to cook. The easiest way is to bake or microwave them. Here are directions for the absolute beginner cook. Place 1 washed and scrubbed potato per person in a 350-degree oven. Prick the skins a few times so steam can escape. Otherwise, you may have a potato explosion in your oven. That is not fun. Bake for about an hour, until tender when speared to the center with a fork. To cook much quicker, microwave on high for 2-5 minutes per potato. My microwave is about to have its 20th birthday, so one big potato takes about 4 minutes at my house. Your microwave may be quicker, or slower. If you like potatoes with crisp skin, heat the oven and finish them there for about 15 minutes. Many people peel, cube and boil potatoes to make mashed. This of course works. But you can save several steps and a lot of mess if you use microwaved potatoes. For quick chunky mashed potatoes, cook them with the skin on in the microwave until they are really soft when you squish them. Cool a few minutes until you can handle them, and then dice in large chunks. Put into a bowl; add about ¼-cup liquid (milk, milk substitute or gluten-free chicken broth) per potato and mash. Skim, low fat, and whole milk are delicious and allow the potato flavor to shine through. Cream adds more calories than I want. Use a masher, large spoon or fork to mash and mix the potatoes and liquid. You can add butter, but you do not need to. I prefer my little bit of butter on, rather than in, my potatoes. I like to see little rivers of melted butter. Using microwaved potatoes puts mashed potatoes on the table in less than 10 minutes. Using whole potatoes, not boxed, not dehydrated. Now that is comforting. Use a ricer for excellent light and fluffy mashed potatoes. A ricer is a contraption your Grandma may have had. There are online videos showing how to use it and reviews of several brands. It is so easy to use, you naturally get the hang of it the first time. When you squeeze it, soft cooked foods are forced through small holes. It is an excellent addition to any kitchen where people actually cook. The kids can even help. It is also useful for craft projects to make hair strands out of clay. Of course, be sure to wash thoroughly between uses. Back to potatoes; cut the microwaved potatoes into quarters, leaving the skins on. Put the cut side down in the ricer and press the flesh out through the holes into a bowl. Add liquid as above and stir. The skin will be left in the ricer. Peel it out with your fingers and either discard, or chop it up and add to the mashed potatoes. Extra mashed potatoes can be stored in the fridge and reheat well. Add a bit more liquid if they are too stiff. As with most foods, watch your portion size if you are trying to maintain or lose weight. I find a half-cup portion of real food much more satisfying than a boatload of highly processed stuff. Cream Free Creamy Potato Soup is so easy with microwaved potatoes. Cook 1 white potato per serving until very tender. Cool a bit. Leave the skins on and dice half of the potato(es) into about ½-inch pieces. Put into a medium saucepan. Mash the rest of the potatoes or run through the ricer into the saucepan. Add about 1 cup milk for each serving. Evaporated milk makes the soup especially rich. Warm over medium heat, stirring frequently. Pour into serving bowls and garnish with diced green onion, shredded cheddar cheese, and crumbled bacon. It is so simple! AN OPEN INVITATION: SHARE YOUR HEALTHCARE STORY and MAKE A DIFFERENCE! Are you concerned about affordable health care? Have you had difficulty getting the health care you need based on your insurance coverage? If so, read further. Some of you may see this issue as a political fight, but all of us at the NFCA believe it is truly a patient's rights issue. 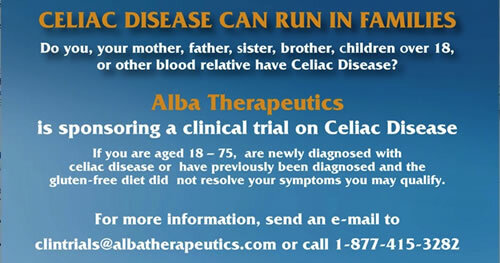 Every day, patients with celiac disease struggle to get diagnosed. Even those who are lucky enough to receive a prompt diagnosis struggle to get the proper care they need to manage a successful gluten-free diet. You've had symptoms for years and your doctor finally recommends a celiac test...but your insurance won't cover the test. You're then faced with a horrifying question. Do you spend $140 out of pocket for the blood test and the $1,000 for the endoscopy to confirm that diagnosis? You shouldn't have to make this choice. In a perfect world, everyone diagnosed with celiac disease would automatically be referred to a skilled dietitian for nutritional counseling. They would learn all about the gluten-free diet and how to properly manage it for the rest of their lives. Typical nutritional counseling sessions cost about $70, yet most insurance plans don't cover them. Through sharing stories about our struggles with the health care system, NFCA is helping HCAN put a human face on this very complex public policy issue. We're showing lawmakers why we need changes and demanding they happen in 2009. For more information about HCAN, please visit www.healthcareforamericanow.org. Sign up for the HCAN email List to get notifications about events in your area. There will be 42 media events in 42 states during the month of April. The events will be held between April 6th and 18th and you're invited! Be sure to sign up to receive important updates about events near you. Last week, in his first address to Congress, President Obama said, "Health-care reform cannot wait, it must not wait, and it will not wait another year." Hopefully, the President is right. We need quality, affordable health care for all, especially all of us with celiac disease, in 2009! For more information about the National Foundation for Celiac Awareness and information about celiac disease, go to www.beyondceliac.org. There are many companies that offer gluten-free products, but there are some that rise above the pack and truly strive to have a positive impact on the celiac community. Blue Diamond Growers is one of those companies. Blue Diamond is the largest tree nut processing and marketing company in the world. This year, they will celebrate their 99th anniversary, so it's safe to say they know their almonds. You would think after 99 years, Blue Diamond would have just about exhausted their markets. However, that just isn't the case. They are constantly looking to build new markets, create new products, new uses for their crops and new opportunities to get involved with their consumers. We are so thankful that Blue Diamond has innovatively expanded into the gluten-free marketplace and is producing high quality, safe, healthy and delicious gluten-free products. Blue Diamond offers its gluten-free consumers a variety of tasty products and snacks. In fact, all but two of their products, the Jordan Almonds and the Wasabi and Soy Sauce Almonds, are naturally gluten-free. Their California grown almonds are offered in a variety of mouth-watering flavors. In their traditional line, they offer Honey-Roasted, Roasted with Salt, Smokehouse and Whole Natural Almonds. For the more adventurous pallet, they have created bold flavors such as Jalapeno Smokehouse, Maui Onion and Garlic, Lime 'n Chili, Salt and Vinegar, and Salt and Black Pepper. For the perfect ready-to-go energy food, Blue Diamond launched their Oven Roasted line. Grab a container of Sea Salt, Vanilla Bean or Cinnamon Brown Sugar for a healthy solution to an afternoon snack attack. And, if you are a chef, you'll love Blue Diamond's variety of Baking Nuts. They are an essential in every chef's kitchen! Offering a huge selection of healthy and delicious almond snacks is just the beginning for Blue Diamond. They looked beyond the traditional almond and created Almond Breeze, a light and healthy alternative to milk. Although you don't have to be lactose intolerant to enjoy this product, it's fantastic for people who are! It's creamy and delicious and has half the calories of regular milk. You can enjoy it with cereal, use it in recipes or just drink it plain. Their commitment to providing high quality, healthy products and empowering their consumers to take charge of their dietary health is what is so great about Blue Diamond. On their website, www.bluediamond.com, there is a section devoted to customers with dietary restrictions, called "Your Health." Here, they discuss diet and nutrition related to consuming almonds, their milk substitute for those with lactose intolerance, allergy information regarding peanuts (no peanuts are used it their facility), the latest research about almonds, and what they are doing to help those with celiac disease. 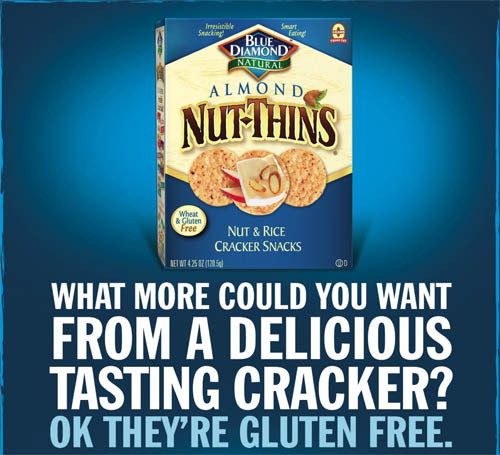 Blue Diamond knows how difficult it can be for people to find gluten-free food that they really enjoy. This is especially true for items like bread and crackers. That's why they created their line of gluten-free Nut Thin Crackers in 1997. They are crunchy and delicious, perfect for snacking or serving with cheese and dips, and available in six irresistible flavors. You have your choice of Almond, Cheddar Cheese, Hazelnut, Pecan, Smokehouse and Country Ranch. With three grams of protein per serving, they are a healthy and scrumptious alternative to crackers containing wheat. They are an essential to keep around the house or at the office. 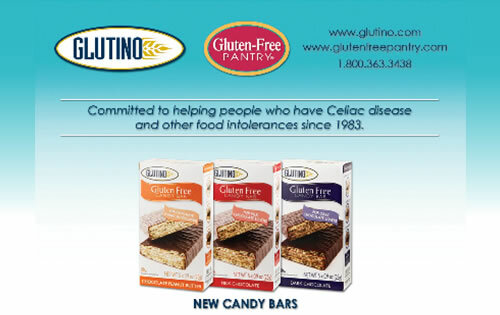 This company is committed to making a positive difference in the lives of those with celiac disease. As sponsors of the Celiac Disease Foundation and the National Foundation for Celiac Awareness (NFCA), Blue Diamond is enabling the execution of vital celiac awareness programming. As a sponsor of the NFCA, they have been a catalyst in the creation of an Athletes for Awareness Blog, set to launch in the coming month, that will encourage athletes with celiac to take charge of their diet and gain a better understanding of how to stay healthy while pursuing their athletic aspirations. They have also been a huge part of our signature events, Appetite for Awareness and the Gluten-Free Cooking Spree. Blue Diamond has offered an incredible amount of support to the NFCA and the gluten-free community. We owe them a debt of gratitude. Most importantly, Blue Diamond has made it clear that they truly care about those with special dietary needs by clearly labeling their products and sharing comprehensive information about their practices, ingredients and facilities. They want their consumers to know that when they see the Blue Diamond symbol on the box, they know they can feel safe eating what's inside. Blue Diamond products can be found in all 50 states and in over 90 foreign countries. You should have no problem locating these delicious snacks! However, if you prefer to shop from the comfort of your own home, visit their online store. Matteo's Pizzeria Expanding Gluten-Free Menu. Having experienced GREAT success with their gluten-free items, Matteo's Pizzeria of Brentwood, Tennessee is looking forward to adding gluten-free cookies to their menu! Matteo's already offers gluten-free breads, cakes, and cupcakes in addition to their popular gourmet gluten-free pizzas! Matteo's Pizzeria and owner Peter Spellman are incredibly committed to the celiac community and are active volunteers for celiac support group activities in the Nashville, TN area. They have also recently launched a wonderful blog where you can read about Matteo's Pizzeria's various contributions to celiac disease awareness events and even watch a video on how their highly acclaimed gluten-free pizza crust is made! Visit http://matteospizza.blogspot.com to check it out. The Reading Eagle serving the Reading, PA area featured Good Eatz Green Café and owner Rick Allenbach. Read about it online here! NBC10 Philadelphia profiled Café Estelle chef and owner Marshall Green! Café Estelle and Chef Green participated in NFCA's 2008 Appetite for Awareness event where they participated in GREAT in preparation for the event. Click here to check out the segment and learn more about Café Estelle. GREAT Program participant ZPizza recently received the honor of Pizza Industry Enterprise (PIE) Award Winner for 2008 and recognized as the top pizza chain by PMQ's Pizza Magazine. PMQ's Pizza Magazine is the industry's leading business magazine, and announced the 2008 (PIE) Award Winner in its November/December issue. ZPizza was recognized for its commitment to organic and gourmet ingredients as well as its gluten-free menu rollout that took place this year with the help of NFCA's Gluten-Free Resource Education Awareness Training protocol. ZPizza Founder Sid Fanarof says of his chains commitment to organic, gourmet, and gluten-free items, "Consumers want to have their pizza and eat it, too - we help make that easier for them to do." We are still hard at work planning the next Webinar session! Please continue to check our website at www.beyondceliac.org for updated information. We hope you will all register and join us for one of these fantastic informational sessions!